What is a “compact state”? My RN license is good in all of these? When you take a travel nursing job in a state in which you do not have your license, you will be required to get a local license. Your travel nursing agency is well versed in this and will be able able to help you with the process of getting that done as quickly as possible. One of the quickest ways to accomplish this is if you are licensed in a state that belongs to the nursing license compact. Basically this an agreement among the member states to accept each others licenses in their state. It’s sort of like athletic gym membership reciprocity where a member of one gym can use the gyms in another area without cost. These twenty-four states were all members of the compact as of December. 2012. 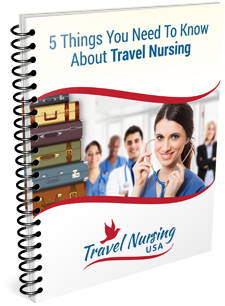 Check with the nursing board of the particular state you want to consider travel nursing jobs to be sure.